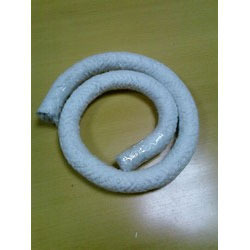 Providing you the best range of fiberglass rope packing and ceramic fiber rope packing with effective & timely delivery. 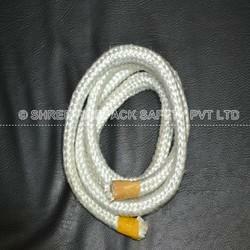 We are a prominent name, which is engaged in dispatching a comprehensive assembly of Fiberglass Rope Packings. The offered range is developed utilizing modern and advanced machinery in adherence with the industry laid norms and standards. Along with this, the offered range of fiberglass rope packings is available in different customized specifications and models to cater to the diverse requirements of esteemed clients. We are able to gain immense experience and a competent team of professionals, we are able to dispatch an extensive range of Ceramic Fiber Rope Packings. This range is highly acclaimed in the market for possessing binder material, which is normally burned at lower temperature and does not affect the insulation property. Our professionals ensure to inspect the entire range on different characteristics so as to maintain its authenticity throughout the entire manufacturing process. Looking for Ceramic Fiber Gasket ?